I have a confession the image being shared around is indeed a fake made in photoshop. And not the first. For years art has been high jacked by photographers and “researchers” creating negative energy around the subject for their own personal gain. We the circle makers are fed up with the infighting and manipulation of our art by those who will attempt to own the subject. Those who force people to subscribe to view past works, or by profiteering by selling our art. We are aware many pieces are never seen as they are photographed but unreleased by photographers on all sides. We know some are paid for and commissioned by some to fill gaps in their own research. Our art is free for everyone to enjoy, and not a way for you to make money. We will no longer accept payment or goods in exchange for our time and effort. The Croppie does not know Paul Smith or who is behind what is almost certainly a false identity. 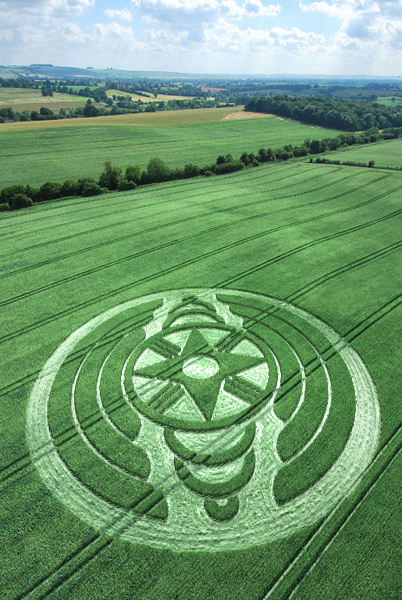 Ignoring criticisms of the Crop Circle Connector and talk of ‘negative energy’, Smith makes various claims which represent a curious view of how the crop circle community operates. Smith does not speak on behalf of circle makers — only himself and possibly a small number of individuals. He is deluded if he seriously believes otherwise; The Croppie has heard this talk before. 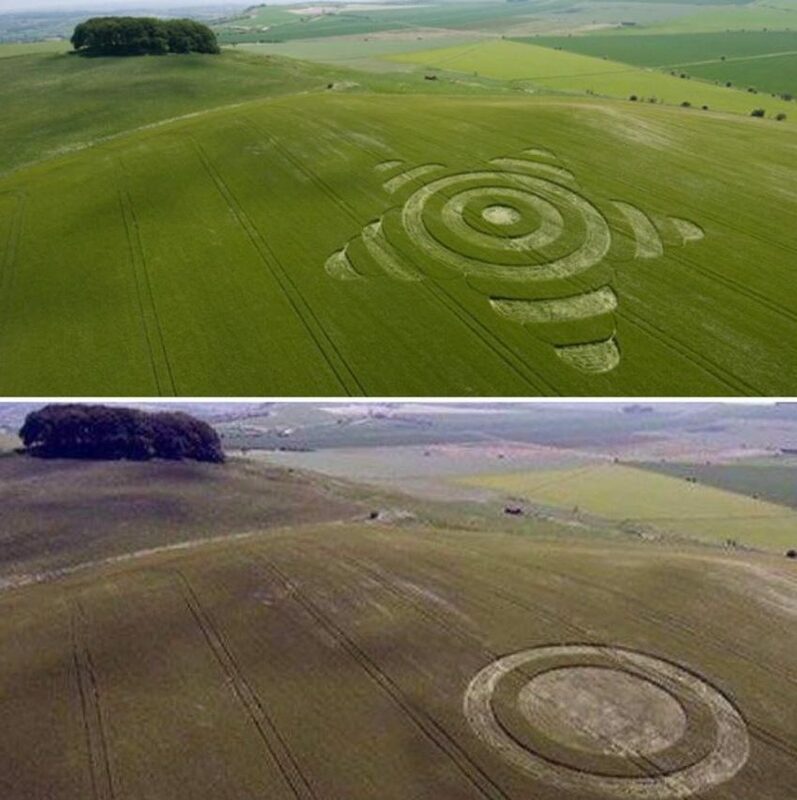 It was not too long ago someone claimed to represent circle makers and stated a boycott of Wiltshire would take place. That never occurred. Circle makers known to The Croppie are a diverse group with different views, perspectives and philosophies. Smith harks back to old tales of circle makers being paid by photographers to make formations. They are the stuff of legend. What evidence exists to back these stories? What evidence supports the idea circles are deliberately made to ‘fill gaps’ in the work of researchers? Does history mean nothing to Smith? 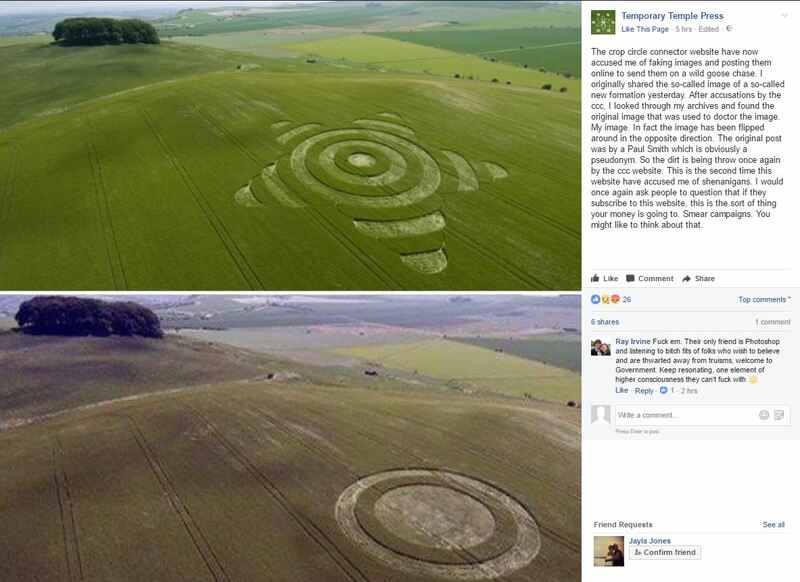 Since the early 1980s croppies have engaged in ‘manipulation’ of the crop circle subject, as well as ‘infighting’. No circle maker has a right to financially benefit from their creations (in part because their work is illegal). 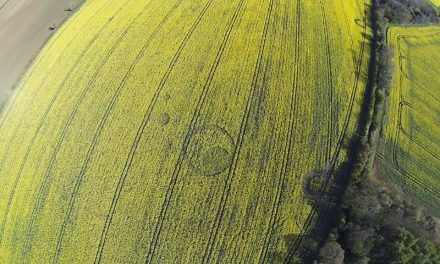 Circle makers who spend time in fields should do just two things: make crop circles and stay quiet. In turn, photographers, researchers and the public will promote their work in a variety of ways. A circle maker cannot expect to earn anything more unless they seize the opportunities that photographers, film makers and merchandisers do. It isn’t anyone’s fault but Smith’s if he is unable to do so. What can Smith realistically do to stop photographers selling their photographs that they are perfectly entitled to take? Nothing. Art is not always free. Ask collectors and visitors to museums and galleries. Finally, some advice for Smith. The Croppie can understand his disillusionment; it cannot be easy for him to see others profit from his work. However, it is something circle makers cannot change unless, as outlined above, they become more proactive. In the meantime, Smith should possibly consider finding an alternative hobby. 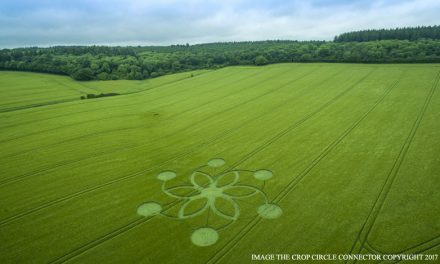 “Circle makers who spend time in fields should do just two things: make crop circles and stay quiet. In turn, photographers, researchers and the public will promote their work in a variety of ways.” I don’t understand what you are saying. Are you telling circlemakers to keep quiet so others can sell or promote their work as being genuine? 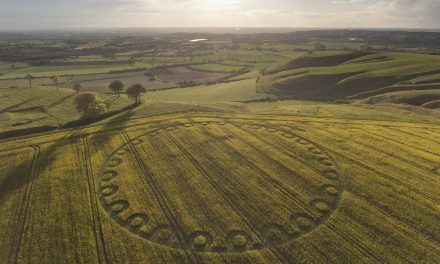 If circle makers remain quiet after making a crop circle then nobody in the wider world will be aware how it got there. It is then down to the individual photographer, researcher or member of the public how they choose to promote or interpret that circle in whatever way they see fit. Some may say it is man made, others may say it was created by something else. Some will not comment. It is entirely their choice. The Croppie sincerely hopes this offers some clarification.